Prototype: German Railroad, Inc. (DB AG) road number E 94 056, former DR class 254. Traditional locomotive from the Leipzig Main Station, museum track. Version in a "Bottle Green" / "Fire Red" paint scheme. 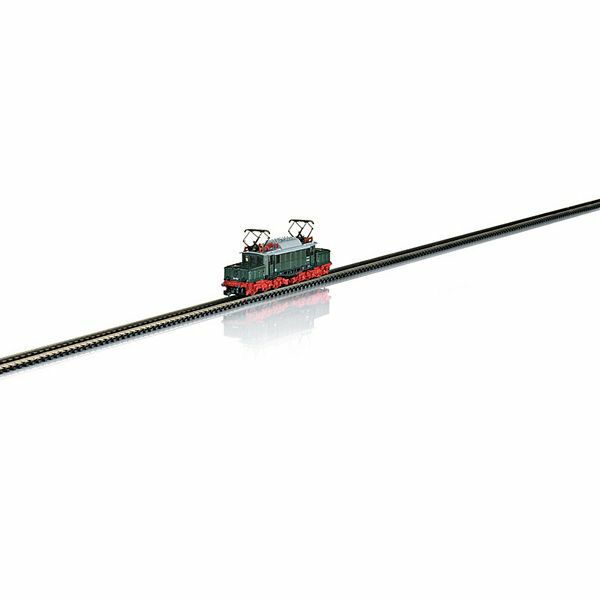 Model: The locomotive has a new generation motor, a motor with a bell-shaped armature. The headlights change over with the direction of travel and are warm white LEDs. Both hood sections of the locomotive are constructed of metal. All axles on both trucks are powered. The locomotive has a finely executed, prototypical paint scheme and lettering. 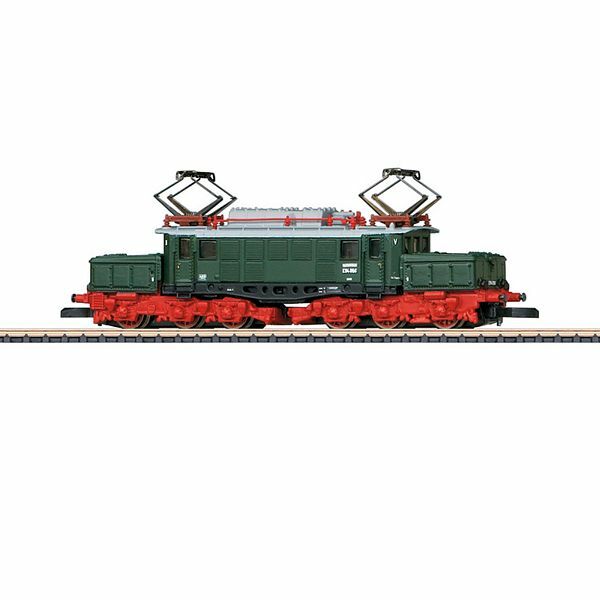 The locomotive comes in an exclusive wooden box. Length over the buffers 85 mm / 3-3/8". Limited series of 499 pieces.